"Developing Software is the ART of creating a more efficient world. " We area unique software development company based in South Africa. starting in 1998 we have broad experience in the industry and have been building relationships ever since. Software Development is our main focus, but we have experts in the Web Development Field as well as in the Mobile Development Field. Crystal Reports Development is also a service offered by us. We focus on providing web and application development services including solution integration to small and medium sized enterprises (SME) mainly in South Africa. Our programmers are some of the most experienced software engineers in the country. 5 Flash and Photoshop designers with an amazing range of skills. 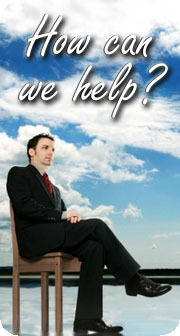 We are a one stop creation and maintenance company for molding your ideas into a solution. You can rely on us to give your company a cutting edge, as we use the most efficient, flexible and cost-effective approach to programming. We also provide great articles relating to various software and technologies surrounding them. Mobile devices have become very popular lately. For example, mobile phones are so common that it is strange to find somebody who does not have one. In fact, mobile development has made them so sophisticated that they are much more than phones. In addition, Internet is everywhere, so is the basic support to find the adequate device for each person, according to his or her needs. Fortunately, mobile devices popularity makes them more affordable for different budgets. To satisfy customers’ needs and expectations is a goal that any software company wants to achieve. In fact, this task requires a process that starts through Software Development Johannesburg. Designing a web site, in order to be part of the World Wide Web involves a wide range of activities that may include the talent of many people that are eager to show what they can create through a web page. Web Development may be only a small project that will require one or two persons devoted to produce a web site that will increase the amount of customers with commercial aims. On the other hand, in big companies and organizations, Website Design, ther may be a project that will consist of many teams of designers. The first option can also include a variety of mediums that have been aimed to generate content through blogs and social networks. Web Development can provide these users with the vital tools for getting their main objective: communicate what they think and what they feel.